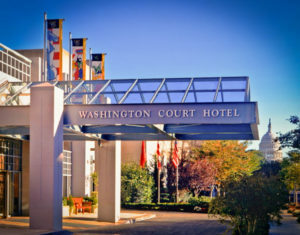 The Advocacy Summit will be held at the Washington Court Hotel on Capitol Hill in Washington, D.C. The hotel is just blocks away from Union Station which services Amtrak and the Metro’s Red Line. Attendees may also call 1.202.628.2100 before Tuesday, September 17, 2019 to book hotel reservations and mention SOPHE’s Advocacy Summit. Ronald Reagan National Airport (DCA) is closest to the hotel. Washington Dulles (IAD) and Baltimore Washington (BWI) are also within a reasonable distance and accessible via taxi, Uber, and public transportation.